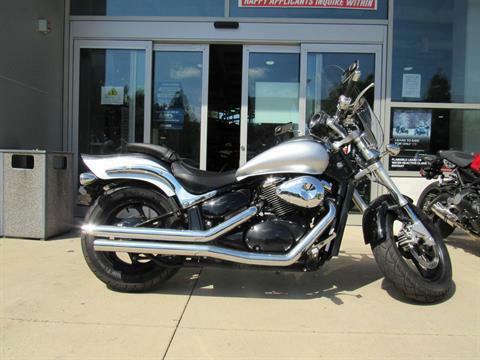 Here's a hot cruiser that's going to light up the city streets. The Suzuki Boulevard M50 boasts unrivaled muscle cruiser styling along with a healthy injection of Suzuki technology. The first thing to strike you is its hard-tail design, which - thanks to an advanced rear suspension system - provides a comfortable and responsive ride. Of course, the muscle styling cues don't end there. Check out its pullback bars, contoured saddle, sculpted rear fender and eye-catching slash-cut chrome mufflers. 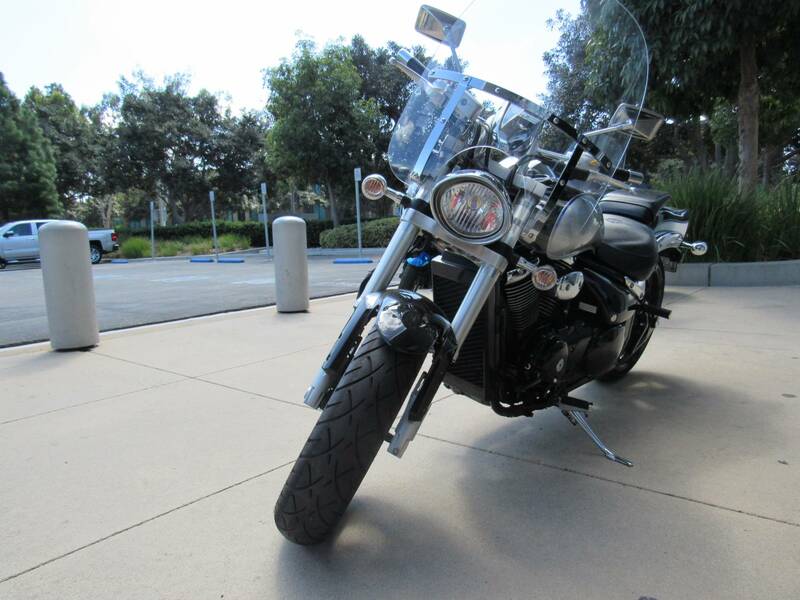 The Suzuki Boulevard M50 has performance to match its image. 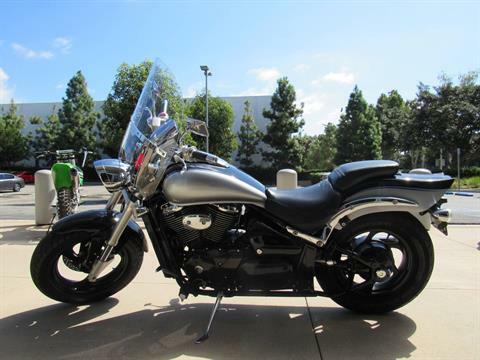 Its liquid-cooled 50-cubic-inch V-twin engine features an advanced Suzuki fuel injection system that gives it terrific torque down low and an incredibly wide powerband. What's more, the M50 rewards you with crisp handling and an exceptionally comfortable ride around town or out on the open highway. Soft-tail-style frame creates a continuous flowing line from the headlight, through the fuel tank, seat and rear fender. 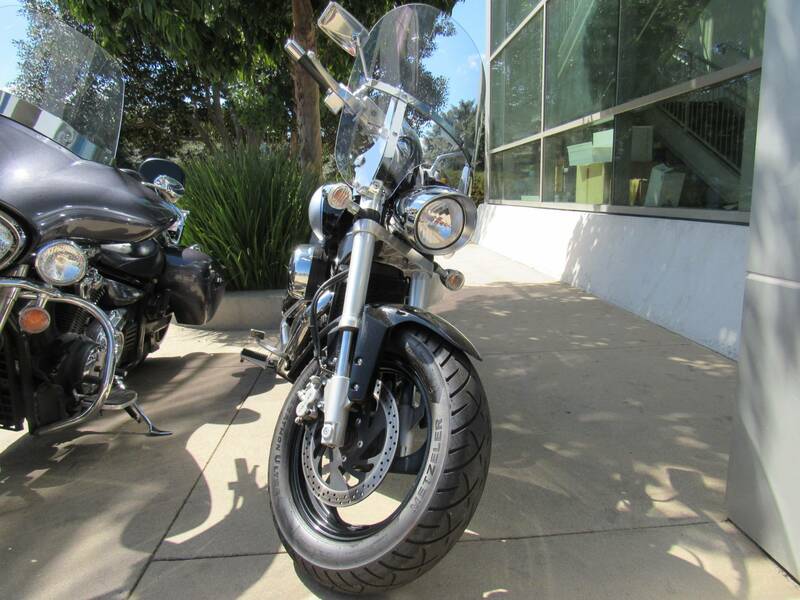 Sharp-edged-styled front fender adDual Sport to the clean look of the front end, while the bob-tail rear fender adDual Sport to the flowing lines at the rear. Long, wide 4.1 gallon fuel tank flows smoothly back to the seat -attractive raised fuel filler includes indicator lights for turn signals, high beam and low fuel. 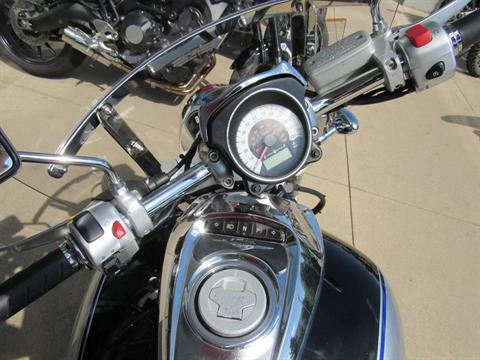 Handlebar-mounted speedometer styled for a clean appearance and positioned for good visibility. Wide, comfortable seat with low seat height - passenger seat can be removed for a bobbed rear fender appearance. Low-rise handlebars mounted on pull-back risers provide a comfortable reach for the rider and increased comfort around town or on the highway. Inverted, 41 millimeter front fork for a performance look and comfortable ride - the only model in the class with an inverted fork. Large LED-type taillight with a clear lens provides a modern custom look. 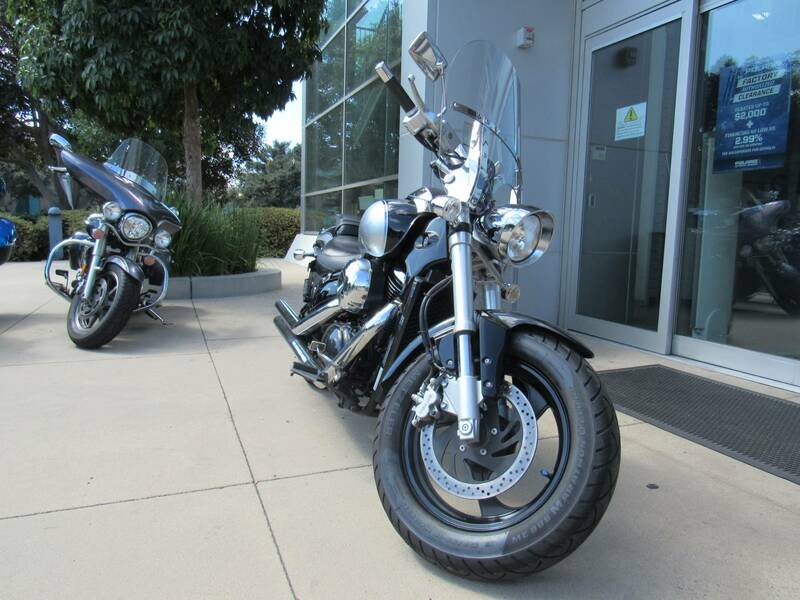 Bright bullet-style turn signals designed for high visibility and attractive appearance. Black cast aluminum rims carry a wide 130/90-16 front tire and 170/80-15 rear tire. Single front disc brake with large 300 millimeter rotor for strong braking performance. 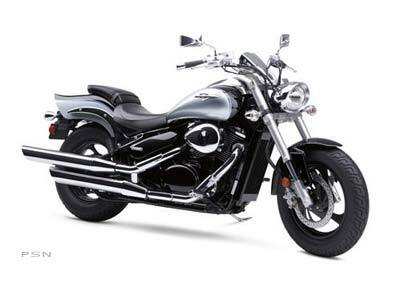 Suzuki Boulevard M50 is styled with a sleek, muscular look combined with advanced Suzuki technology and features.